Make your story, make laugh! • Give a new lease of life to your cool photos and videos with Flipagram SlideShow-Story GIFs! 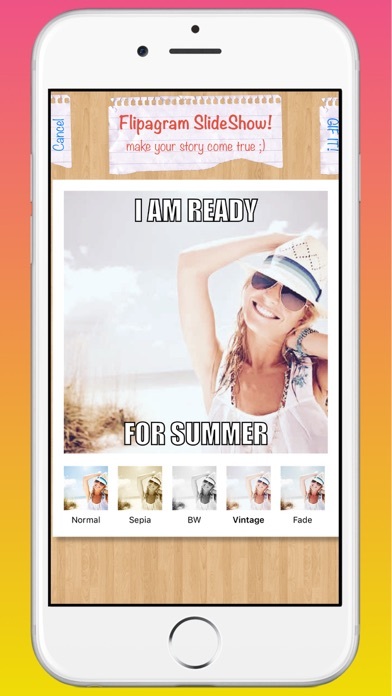 • Create a GIF animation mixing your photos or shoot a video and add captions and filters to it! 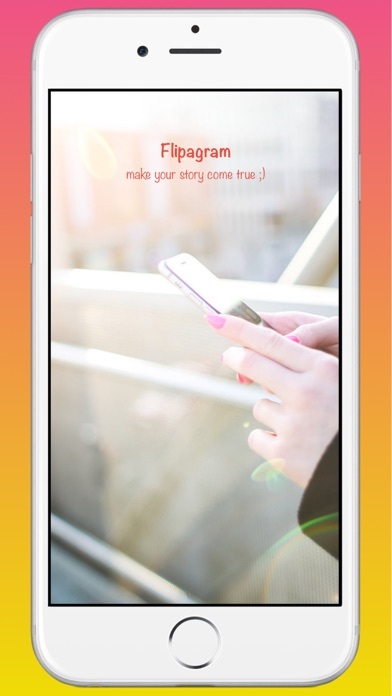 • With Flipagram SlideShow-Story GIFs you can record a video (mixing front or rear camera) and get a GIF just in a couple of seconds! Woohoo! • Want to add a text caption? Sure yes! • Want to add a filter? That's exactly what you need! • Want to share? Yeah! 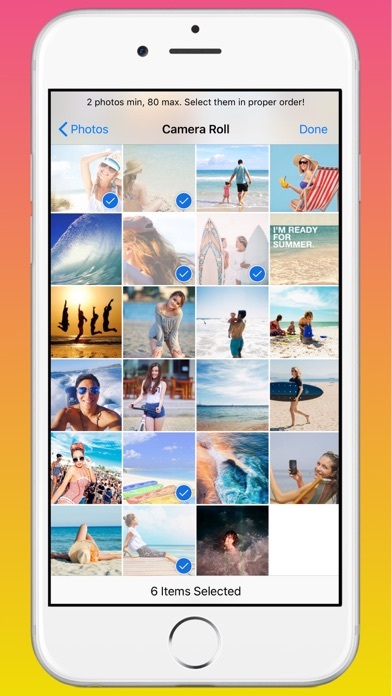 Send via Facebook Messenger or iMessage, save to gallery as video or even post to the Facebook to get likes and fun! Support Premium Membership - Cloud storage & backup your awesome gifs. Flipagram SlideShow-Story GIFs. We are all makers! • Title of publication or service: Weekly Premium Membership. Get Followers on Flipagram - More real Followers for your Flipagram Profile!